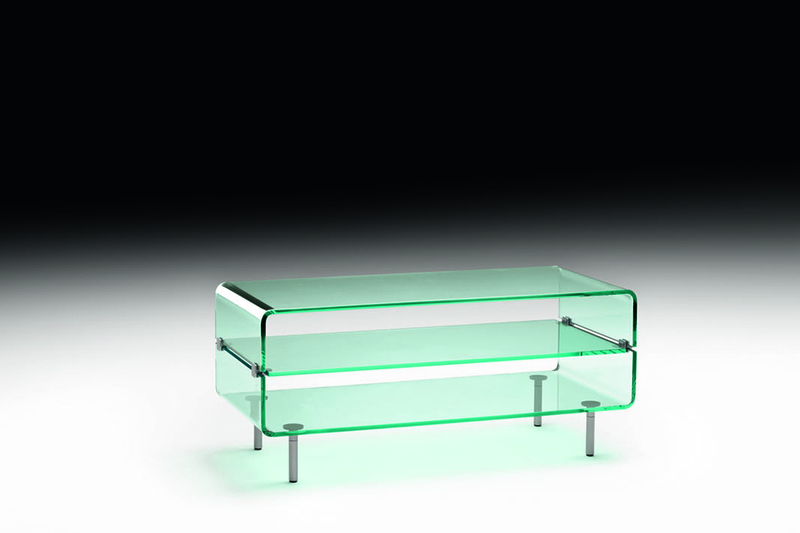 C&C Large is a practical trolley in 12 mm-thick curved glass with 12 mm-thick glass shelf. 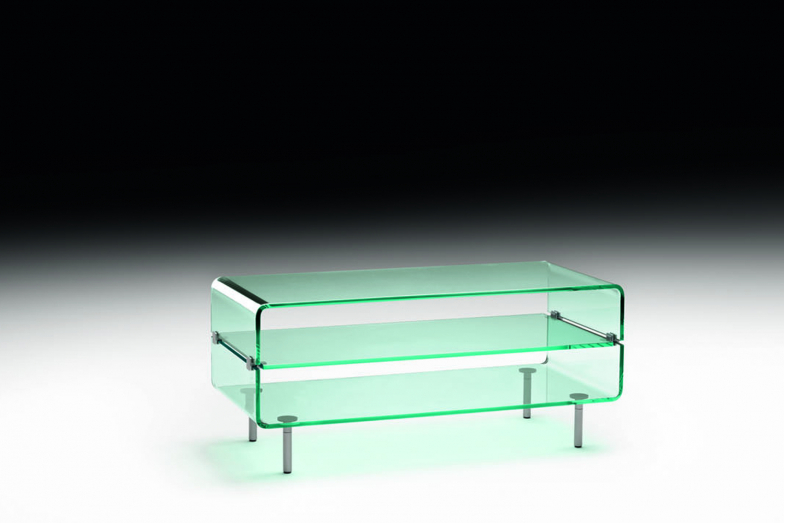 With feet and castors, and details in aluminium, the table is highly versatile as a TV unit. Also available in extralight glass.